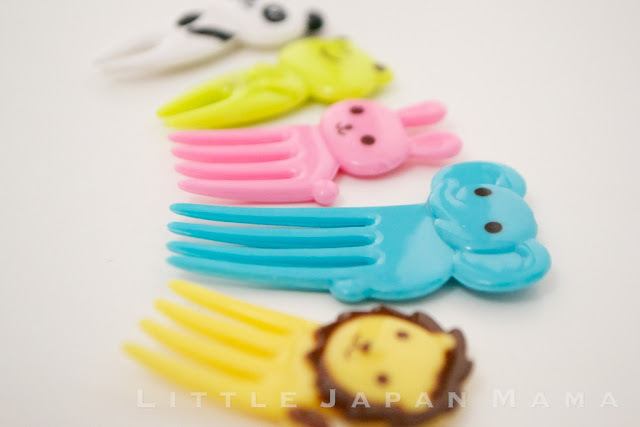 This is our little Ochibi’s favorite item, and happens to feature five of his favorite animals! 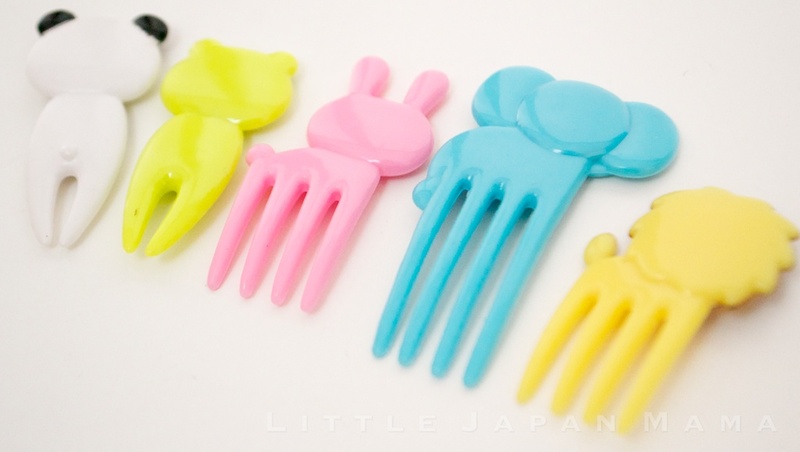 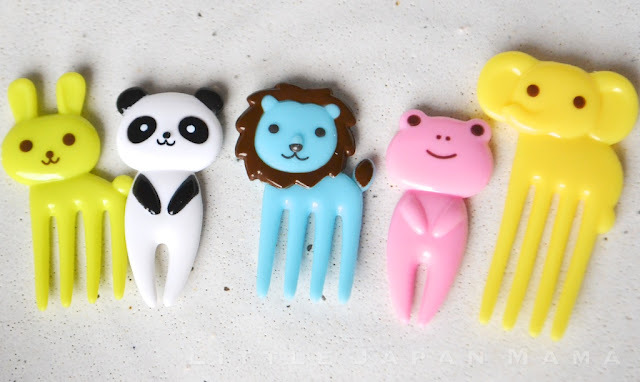 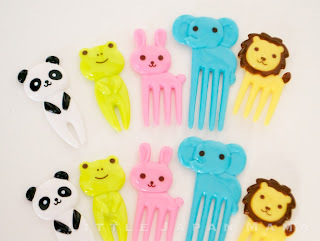 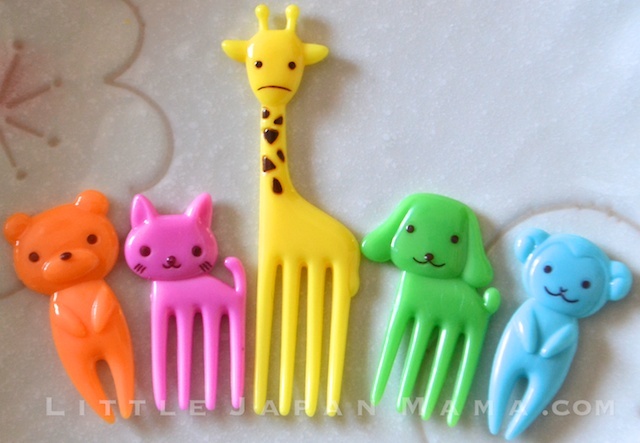 Not only do they add character to your bento, the legs of each animal make them useful as a mini fork! 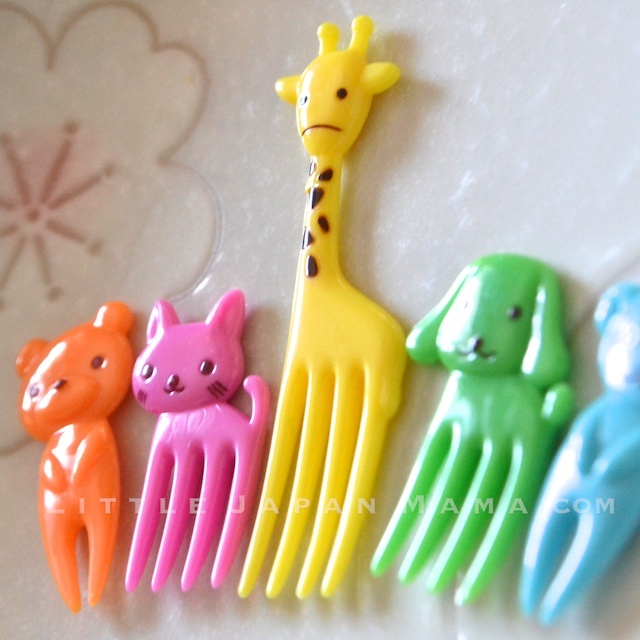 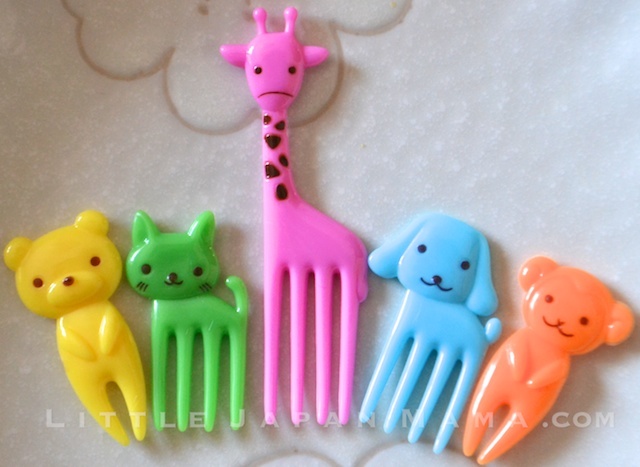 Each pick measures 35mm (frog) ~ 45mm (elephant) ~ 55mm (giraffe) in length. Colours of each animal vary between each set, but the panda is always black and white.